The Romans were a polytheistic people who worshiped a great number of gods. 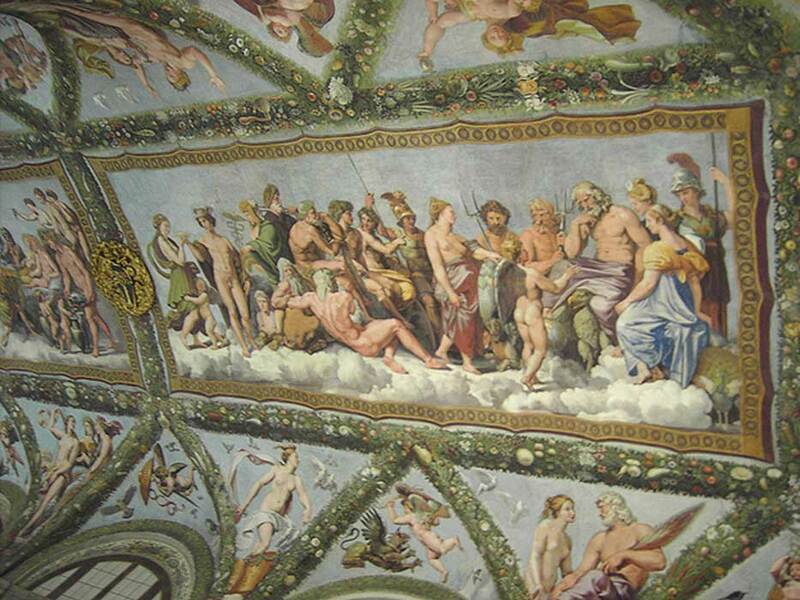 Nevertheless, the most important gods in the Roman pantheon are the twelve gods and goddesses of the Dii Consentes , who are roughly equivalent to the Twelve Olympians of the Greeks. The Dii Consentes are also a good example of an important feature of Roman religion known as syncretism, in which the gods of other cultures are assimilated into the Roman pantheon. Another important aspect of Roman religion that was added during the imperial period was the cult of emperor. The most important gods of the Roman pantheon are the twelve deities of the Dii Consentes (known also as the Dii Complices ). The members of the Dii Consentes are often arranged in six male-female pairs, which are as follows – Jupiter-Juno, Neptune-Minerva, Mars-Venus, Apollo-Diana, Vulcan-Vesta, and Mercury-Ceres. These deities correspond to the following Greek gods – Zeus-Hera, Poseidon-Athena, Ares-Aphrodite, Apollo-Artemis, Hephaestus-Hestia, and Hermes-Demeter, who were collectively known as the Twelve Olympians. For the most part, the gods of the Dii Consentes functioned in the same manner as their Greek counterparts. Thus, for instance, Jupiter (like Zeus) was the king of the gods, Neptune (like Poseidon) was the god of the sea, and Ceres (like Demeter) was the goddess of agriculture. Among the twelve deities of the Dii Cinsentes , the least known member is perhaps Vesta. Nevertheless, the ancient Romans had a very important religious college dedicated to her, the College of the Vestals, whose priestesses were known as the Vestal Virgins. Vesta was worshiped as the goddess of the hearth, home, and domestic affairs. The perpetual fire in her shrine in the Roman Forum was tended by the Vestal Virgins and was vital for the well-being of Rome. Who Were the Adopted Gods? Apart from the Dii Consentes , there were also many other gods whom the Romans adopted from the Greeks. For example, Dionysus, the Greek god of wine was worshiped by the Romans as Bacchus. Pan, the Greek god of the wilds became Faunus, whereas the renowned hero and god Herakles became Hercules. Interestingly, the Romans also absorbed the Titans, the enemies of the Greek Olympians, into their pantheon. Thus, for instance, Cronus the leader of the Titans was worshiped as Saturn, while Helios the personification of the Sun became Sol. Nevertheless, this syncretism was not limited to the Greek deities, and the Romans assimilated many of the gods worshiped by the peoples they conquered. As an example, the cults of Isis and Serapis were imported from Egypt. 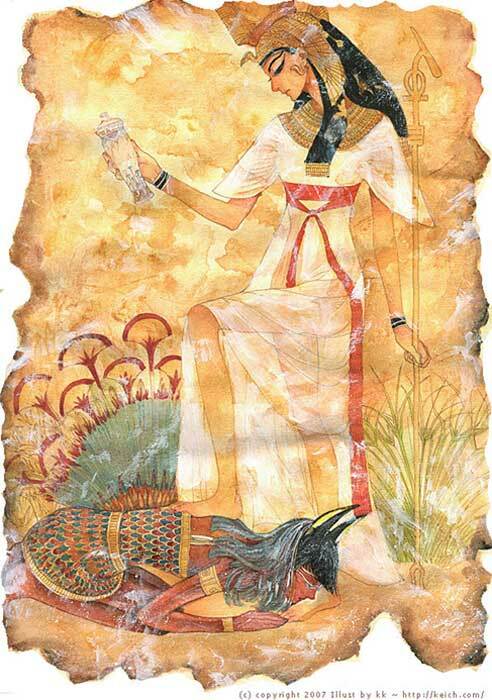 The former was a native Egyptian goddess, while the latter a syncretic deity created by the Ptolemaic pharaohs. Other adopted deities include Attis a Phrygian fertility god, Bubona who was worshiped by the Celts as Epona the goddess of horses and cattle, and Sol Invictus a Syrian solar deity. Who Were the Roman Indigenous Gods? It should not be mistaken, however, that the Romans did not have their own indigenous gods. Indeed, the Romans worshiped a myriad of native gods who, though considered minor, governed various aspects of daily life. For instance, Cinxia was the goddess of marriage, while Libitina and Naenia were both goddesses of funerals. Additionally, some Roman deities had quite specific domains. For example, Cloacina was worshiped as the goddess of the Cloaca Maxima, the system of sewers in Rome. Obarator, Occator, and Conditor are gods associated with specific aspects of agriculture – ploughing, harrowing, and harvesting, respectively. What Was the Cult of the Emperor? Another important aspect of Roman religion that was introduced following the establishment of the Roman Empire was the cult of the emperor. In essence, this meant that the emperor and the imperial family were regarded as divine. In some parts of the Empire, in particular in the east, the worship of the living emperor as a god was culturally acceptable as it has been in practice for centuries, if not millennia. In Rome and Italy, however, this was not the norm and the imperial cult was reserved only for deceased emperors. It may be added that several emperors, such as Tiberius, Caligula, and Nero were not deified. Additionally, the memory of Hadrian, one of the ‘Five Good Emperors’, would have been condemned, had it not been for his successor, Antoninus Pius, who succeeded in having him deified. One of the most important functions of the imperial cult was to unify the diverse peoples of the Roman Empire. The cult allowed the subjects of Rome, even those in faraway provinces, to focus their loyalty on the emperor and consequently on the empire itself. Incidentally, the refusal of the early Christians to partake in the imperial cult was considered by the Roman authorities as treason and disloyalty to the empire. Like any other gods of the Roman pantheon, the divine emperor was worshiped and offered sacrifices. Lastly, towards the end of the 4 th century AD, the Emperor Theodosius I proclaimed Nicene Christianity as the state religion of the Roman Empire. Consequently, all non-Christian religious practices, including the pagan Roman religion were outlawed. Top image: The Council of The Gods. Source: Alexander Z. / CC BY-SA 3.0 .